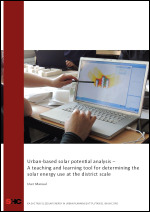 This report compares experiences in using selected software tools in seminars at universities based on a design task example with experiences of international partners within the framework of IEA SHC Task 51. 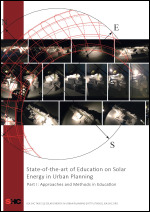 Also, this report discusses the current development status of new research and teaching tools. 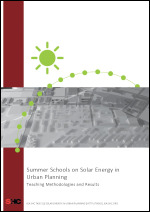 This booklet describes an interdisciplinary summer school on solar energy in urban planning. Teaching methodologies and results are shown as an applied example of successful collaboration between teaching, research and practice, to serve as inspiration and encouragement for educators. (German) Die Broschüre beschreibt die interdisziplinäre Sommerakademie, welche sich mit der Nutzung von solaren Potenzialen im städtebaulichen Kontext auseinandergesetzt hat. Lehrmethoden und Ergebnisse werden beschrieben, die sich auf einer erfolgreichen Zusammenarbeit von Lehre, Forschung und Praxis gründen und als Inspiration und Unterstützung für Lehrende dienen sollen. 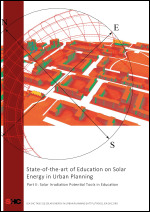 This report focuses on education in order to strengthen the knowledge and competence of relevant stakeholders in solar energy in urban planning. The core of this study is to create substantial links between research and education as well as between research and practice. Knowledge gaps in current education were investigated, reasons for these gaps were identified and solutions and strategies are proposed to overcome these shortcomings.